Well, crap, I didn't mean for a month to go by before writing the second post (in a series of three) about our journey along the Pacific Coast Highway. Let's just say that June was a MONTH. So, without further ado, part deux: The Central (or Cowboy) Coast, featuring Santa Barbara, Ojai, San Luis Obispo, Hearst Castle, and Cayucos (whew - that's a lot, but stick with me). 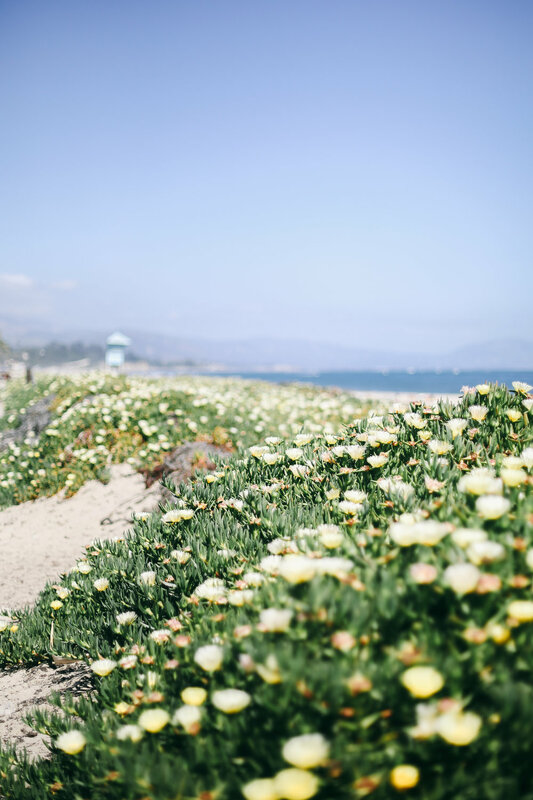 It could be debated as to whether Santa Barbara and Ojai are part of the central coast or not, but just go with it for the blog's sake, okay? 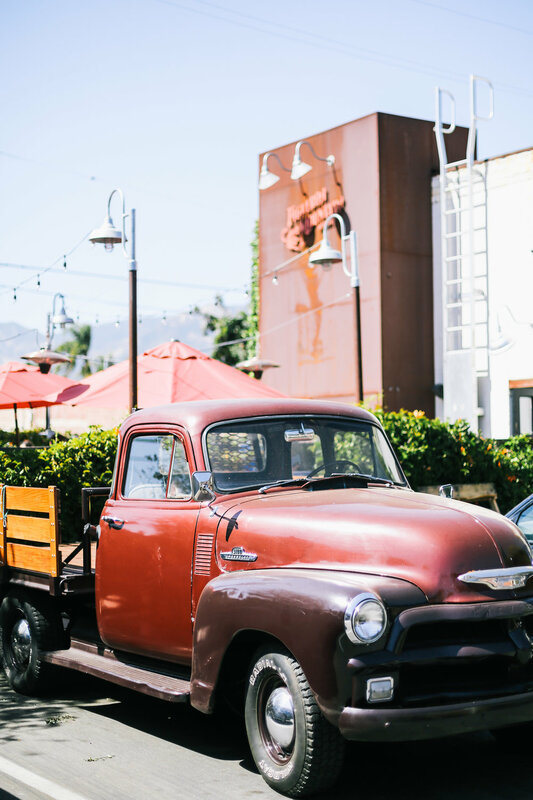 Both of these towns have a great California vibe - SB emanating that coastal chic and Ojai, that mountain village cool. 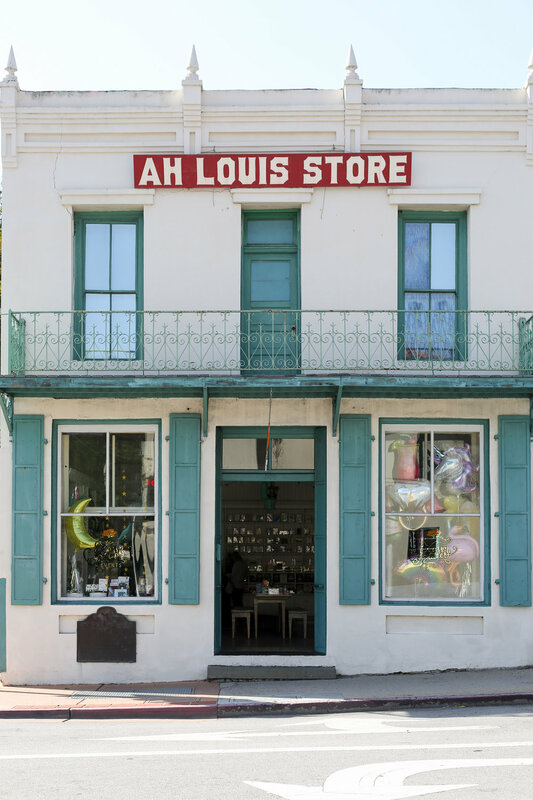 While my daughter and husband spent their entire time in Santa Barbara in the pool (her favorite thing about traveling these days), I went for a wander around town. I expected the beautiful coastline but was pleasantly surprised by the cute downtown - loads of stylish restaurants, shops, and AN URBAN WINE TRAIL. Need I say more? But my favorite thing about Santa Barbara? Hands down, the courthouse. They don't make civic spaces like they used to, do they? 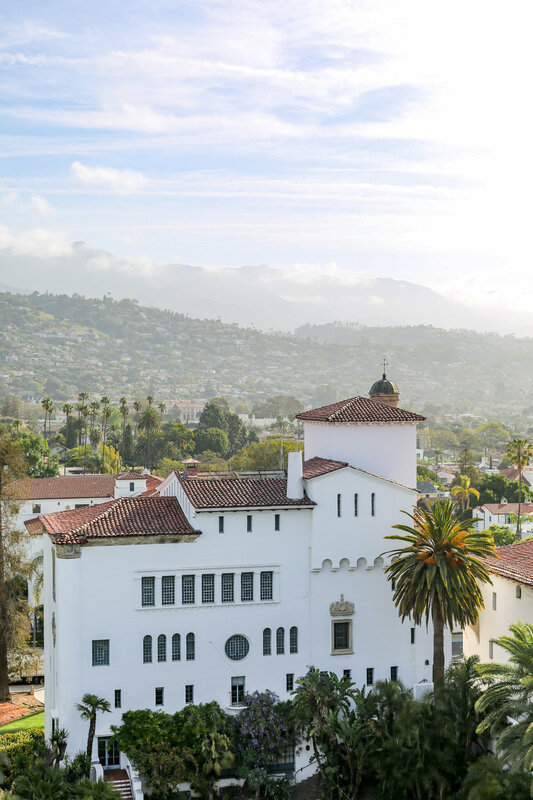 Taking in the views over Santa Barbara from the gorgeous clock tower. 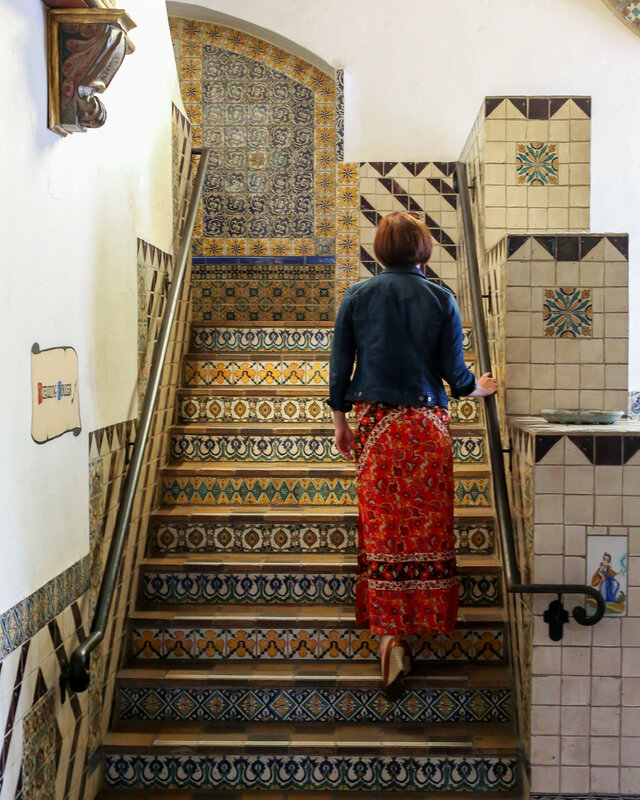 The courthouse was built in 1929 in the Spanish-Colonial style, with ornate tiles, beautiful staircases, and lovely views from the clock tower. If I could visit just one thing in Santa Barbara, it would be the Courthouse. 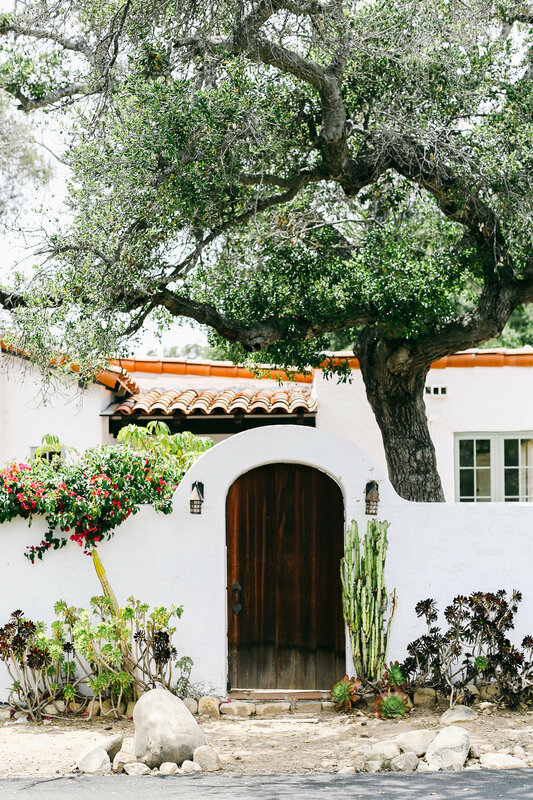 Ojai is a short drive east of Santa Barbara (and a favorite escape for Los Angelinas), and it exudes California charm. We spent just a brief afternoon there - enough to enjoy a perfect lunch and little shopping stroll ... basically my perfect day. 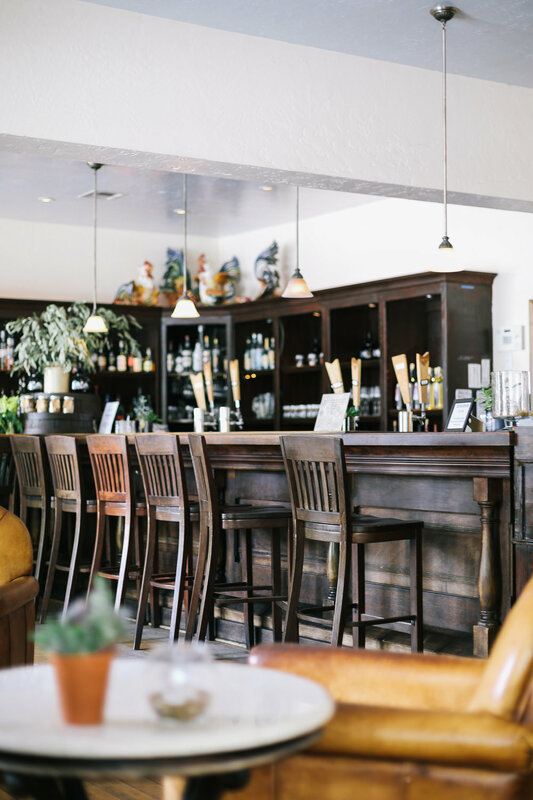 My top recommendations: Azu Restaurant & Bar for delicious tapas, deKor&Co. 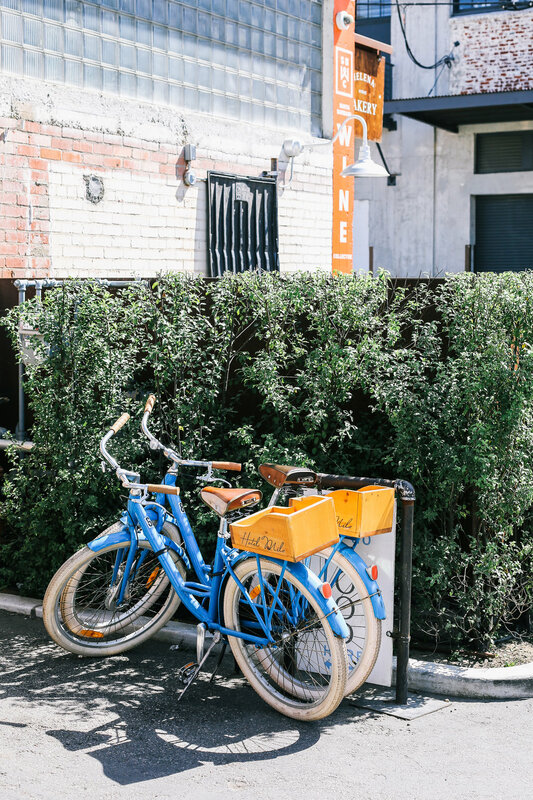 for gorgeous home goods and Ojai Valley Inn if only to borrow those cute bikes with baskets attached. 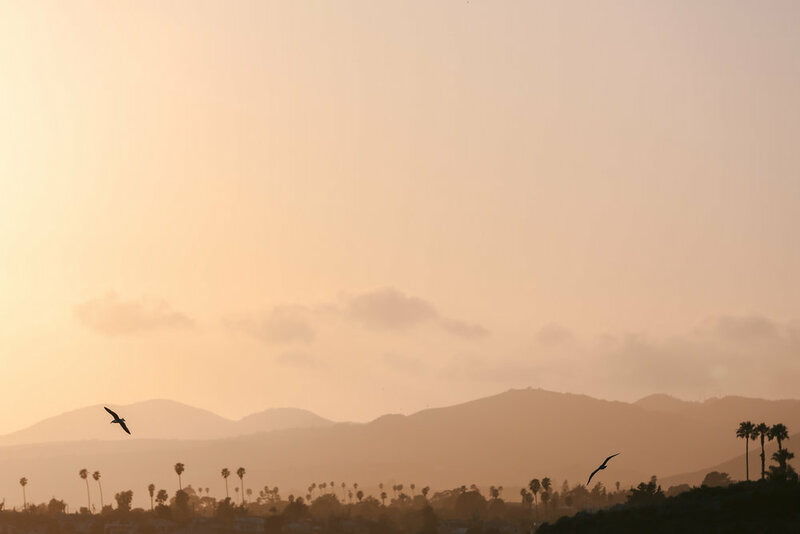 As we move north from Santa Barbara towards San Luis Obispo (SLO), you start to reach the true cowboy coast. 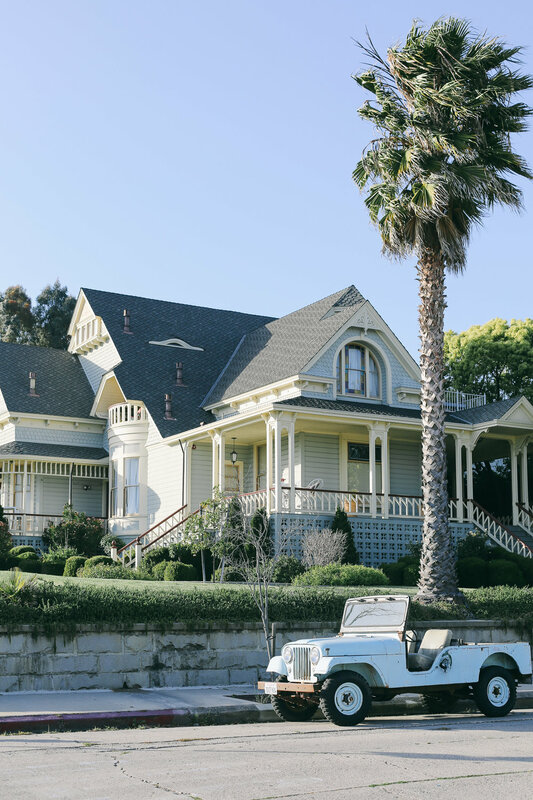 There are wide open fields and cattle ranchers, and while you still have the gorgeous coastline, there's this sense of the more wilder west that you don't necessarily associate with California. When you reach SLO, you notice such a distinct change of pace from Southern California. It's slower (no pun intended). 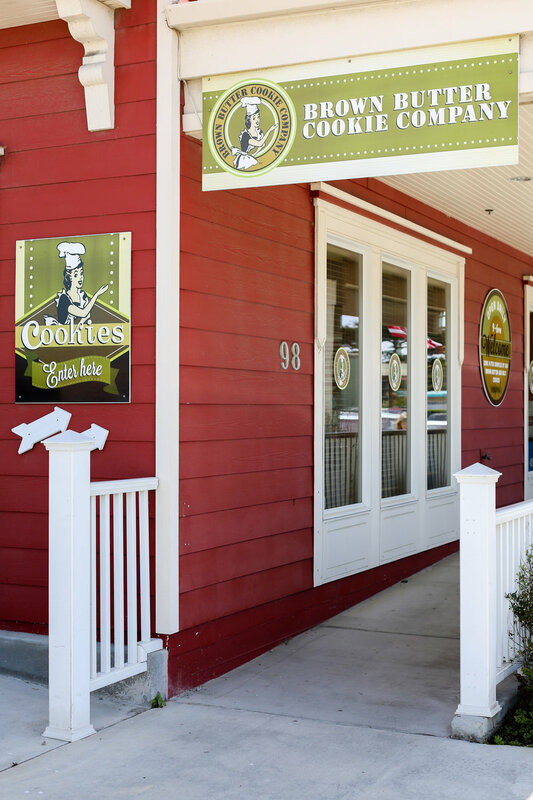 It has a small town feel with big city amenities (think great coffee shops, restaurants, and shops). And it has amazing sunsets. 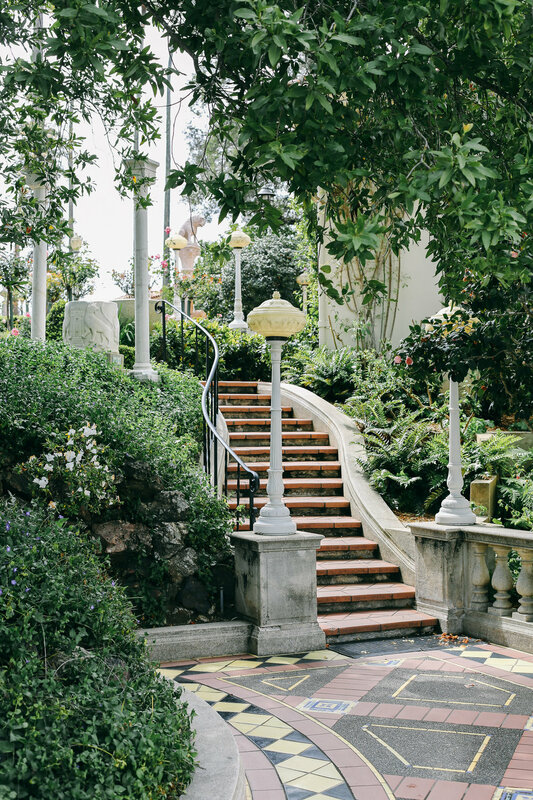 There is nothing quite like the Madonna Inn in San Luis Obispo. 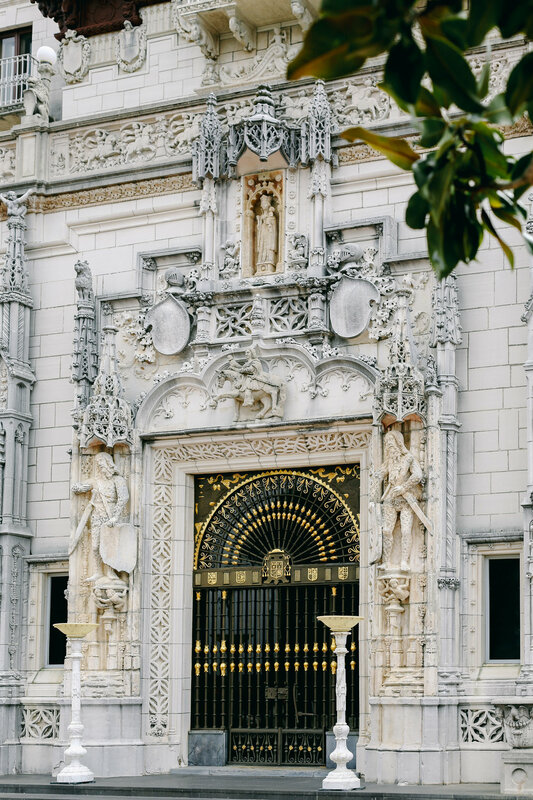 Since we're on the topic of over-the-top opulence, shall we just jump to the Hearst Castle? Why not - it is just a short drive north of SLO. 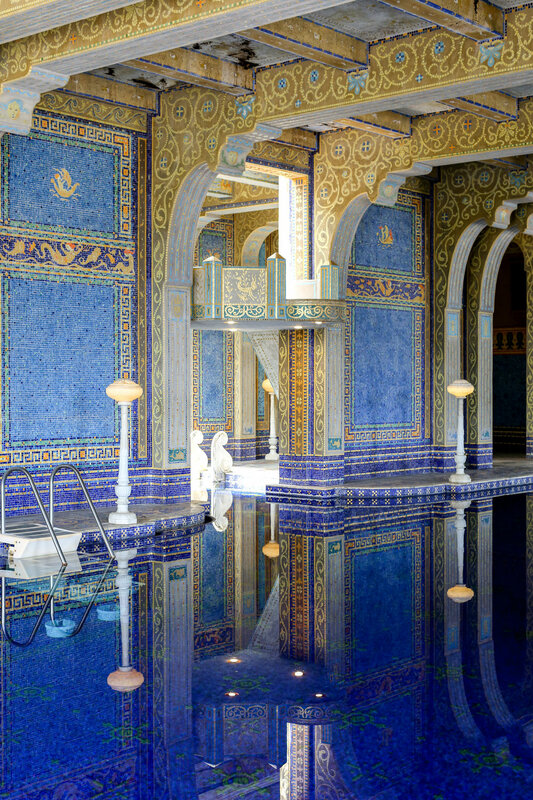 The Pool House at Hearst Castle. I had heard loads about Hearst Castle and always wondered why the hell it was in the middle-of-virtually-nowhere-California (no offense San Simeon), so I was interested to learn that this was family land that William Randolph Hearst grew up on, ranching and camping with his family. The of-the-earth beginnings are certainly in stark contrast to the over-the-top final vision. 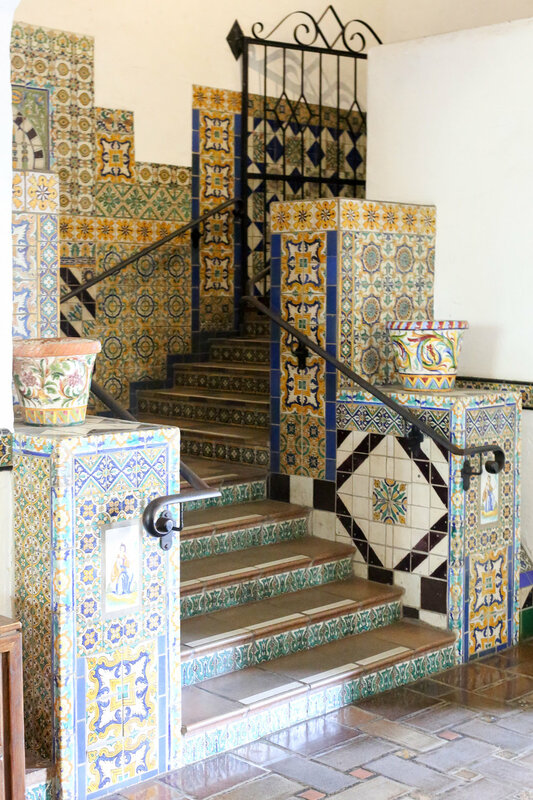 The design, envisioned by Hearst and his architect, Julia Morgan, derives heavily from centuries of European design history - think a mix of Medieval/Gothic/Renaissance. 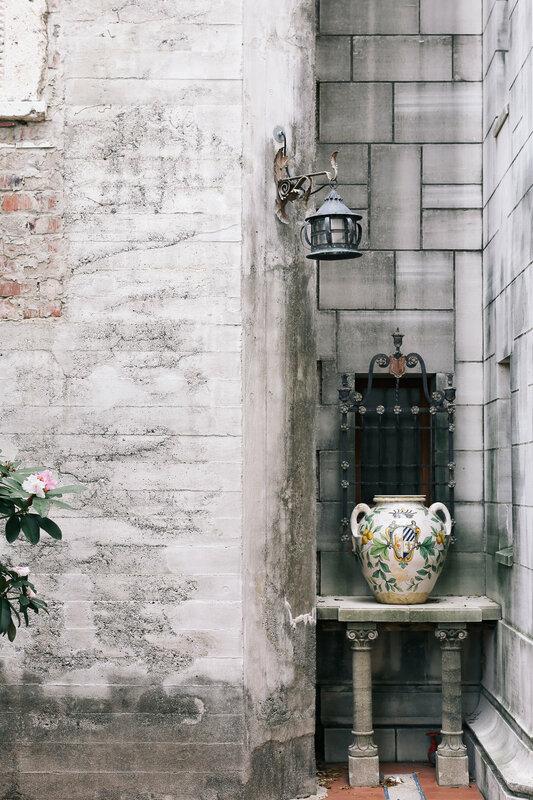 Bottom line - the decor and architecture are intense, but stunning, particularly if you have an appreciation for art and architectural history. Even if you don't, go to Hearst Castle for the grandeur and the slice of American celebrity/royalty history. We took the 'Grand Rooms Tour', mostly for time and kid-restraints, but it gave us a great taste of the extravagance of the home. 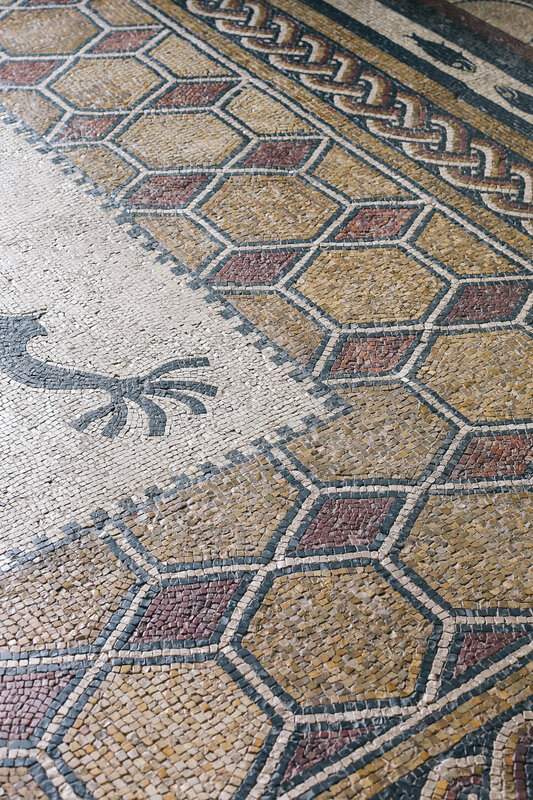 The only disappointing part of the tour was that the iconic Neptune Pool was still under renovation, but luckily the pool house made up for it. So one last stop along the Cowboy Coast - Cayucos. This place was recommended to me on Instagram, and I'm so glad it was. It was a bit rough around the edges - typical Central Coast, but still so sweet. Case in point, the Brown Butter Cookie Company, which might have the best cookies I have ever tasted. But what I loved the most about the area? The boardwalk along the coastline at sunset. What an unbelievable treat. Part III - coming soon!